Heydour Castle was originally an important medieval manorial complex, which can be identified with the Craon fee. During the Anarchy, in the reign of King Stephen, it is possible that the castle was fortified and the earth and timber ringwork and bailey defences built. From the 13th century until its abandonment in the mid 14th century, its stone manor house was probably the principal residence of its lords. The large circular platform encased by a rampart, supports the remains of buildings and mounds seen as earthworks. 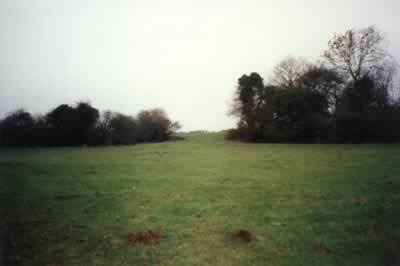 The bailey stands to the south and the castle is encased by a series of ditches, some of which still hold water. 7 miles south-east is Folkingham Castle and 8 miles north-west at Hough-on-the-Hills is Castle Hill. Heydour Castle is located in the village centre, off Church Lees. 19 miles south-east of Newark, on the A17.